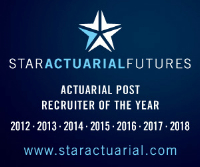 International provider of financial services has an exciting opportunity for a qualified life actuary to deliver UK and Canadian GAAP results, alongside SII results (including capital requirements) on a quarterly basis. In this highly visible role, you will deliver Canadian capital reporting on a quarterly basis, alongside actuarial elements of the business plan, ORSA and FLAOR (Forward Looking Assessment of Own Risks) on an annual basis. With well-honed influencing and interpersonal skills, the successful candidate will be well-versed in providing support and guidance to more junior colleagues whilst possessing detailed knowledge of regulatory frameworks and financial reporting. An excellent opportunity to make a difference within a leading-edge firm.